What is living a healthy lifestyle? It means you are making choices that are good for your body and mind. Eating healthy can sometimes be tough. After all, teens are busier and busier with school, part-time jobs and other activities. What a teen eats is not always high on the priority list. For many teens, nutrition consists of whatever can be eaten in the car, shuttling between activities. 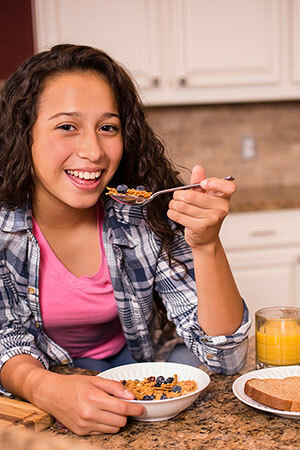 Learn more about teen nutrition.